Peripheral Neuropathy affects an estimated 24 million people in America alone. 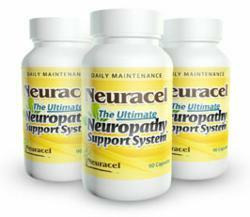 For people suffering from Peripheral Neuropathy, Neuracel has come up with a product that combines the best natural ingredients to provide pain relief at http://www.neuracel.com. According to the latest research conducted by the Back and Pain Relief Center in April, 2013, an estimated 24 million Americans suffer from Peripheral Neuropathy. The condition is more likely to affect those who have diabetes and almost 60-70% diabetic patients are likely to suffer from Peripheral Neuropathy as stated in the findings published on http://goo.gl/FmblF. Furthermore, diabetes is the number one cause of Peripheral Neuropathy. Even with the increase of the neuropathy issue, treatments for the condition are underdeveloped. Here, Neuracel claims to have achieved a breakthrough for the issue by coming up with the first natural treatment for Peripheral Neuropathy. Peripheral Neuropathy, a condition that affects areas such as the legs, arms, and feet, is one of the most common medical issues that exist today. The symptoms, including numbness and a tingling sensation do not come out fast and intensify with time. At worst, the pain experienced from the symptoms prevents patients from living a normal and healthy life. However, there is no cure present for Peripheral Neuropathy, with doctors only providing medication that offer pain and stress relief. However, the medication provided has numerous side effects. The experts at Neuracel studied this issue in depth and produced Neuracel, a product that is made up from natural ingredients. The various treatments launched by Neuracel provide relief and improve nerve health. Ingredients such as Passionflower and Prickly Ash Bark not only bring rapid pain relief, but they also boost the immune system. In addition, ingredients such as Corydalis work to help patients recover and cope with Neuropathy better by preventing insomnia and bringing relief from stress. Peripheral Neuropathy patients looking for a completely natural treatment can find out more about Neuracel at https://neuracel.com/specialoffer.php. The dedicated team at Neuracel also offers a 30 day money back guarantee and a two week trial offer as well. For placing orders, visit https://neuracel.com/specialoffer.php.